The Metro Hotel Tower Mill Brisbane has an ideal location in the centre of the city which places in within easy reach of all the sights and experiences of Brisbane. Each hotel accommodation room at the Metro Hotel Tower Mill has its own private balcony and a variety of in-room features such as complimentary movies, foxtel and air-conditioning. 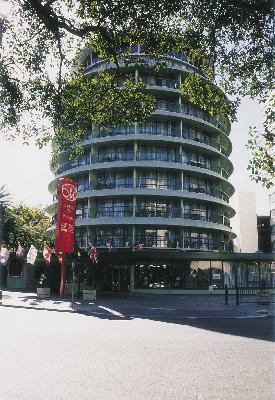 This budget Brisbane hotel is one of the most popular in the heart of the Brisbane city centre. With easy access to all of the major businesses and tourist attractions in Brisbane the Metro Hotel Tower Mill Brisbane is the ideal place for your next holiday or business accommodation. It also features numerous guest services and facilites including direct internet access, faxing facilities, guest laundry, lift, restaurant, room service, tour desk, 24 hour reception, baby cots for families and daily housekeeping. With a range of different room types positioned over eight floors, the hotel also offers ground floor conference and seminar facilities and a fully licensed restaurant and bar serving sensational modern cusine.